Great opportunity to be trained and evaluated by the best goalkeeper coaches in CT indoors during the cold winter months. This will be a group comprised of technically advanced male and female keepers challenging themselves on premiere teams or challenging for varsity. College bound keepers are encouraged to attend as we help provide placement and recommendations to college coaches. We will reinforce the technical needs of goalkeepers and sharpen decision making skills through complex game situations. More sophisticated and complex training situations will be created to elevate the more advanced keeper in terms of handling, angles and positioning, footwork, collapse and grass cutter saves, deflecting vs. catching, high balls, varying breakaway situations, and communication. Very competitive and fast paced. Heavy emphasis on technical perfection, footwork, handling, and goalkeeper conditioning. Keeperstop.com teaches leadership and accountability throughout every drill and training session. 8-1 teacher to student ratio. Train on a full indoor field without boards. Full sized goals will be available. Only 16 spots available. Keepers will be split by age and ability level (2 groups). Every goalkeeper will be challenged to play their very best. Prior training experience is required. Appropriate for 13 - 18 year old passionate driven keepers. Contact us with any questions about the session or placement. Keeperstop.com has no premier club affiliation. It is a recruiting free safe zone. Christian Benjamin - 20 year goalkeeper coach for goalkeepers at all levels from club to professional. Hartford City FC head coach. Central Connecticut State University Mens Soccer Assistant and Goalkeeper 2007 - 2016. 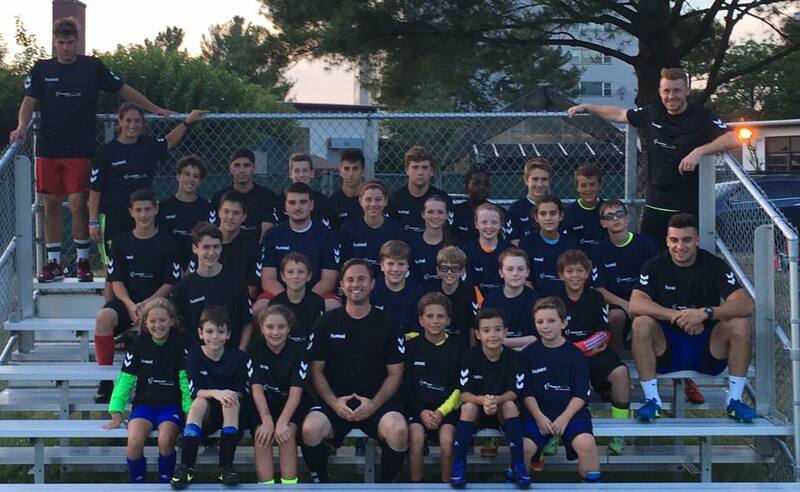 Connecticut ODP Evaluator, Goalkeeper Coach, and Staff Coach. Creator of the goalkeeper equipment and education resource, www.keeperstop.com. NSCAA and USSF licensed. Paul Armstrong - 10 year goalkeeper coach. Former youth professional in England. Central Connecticut State University scholarship 4 year starting goalkeeper. Featured youth clinician. Current University of Hartford mens goalkeeper coach. Special guest goalkeeper coaches from time to time as well.